Myth – Acne is serious; most of us only have pimples. Acne is the medical name for pimples, and medical professionals refer to pimples as acne. This myth was propagated probably because you only hear the word “acne” at a doctor’s clinic and usually those who turn up at a clinic have serious acne. 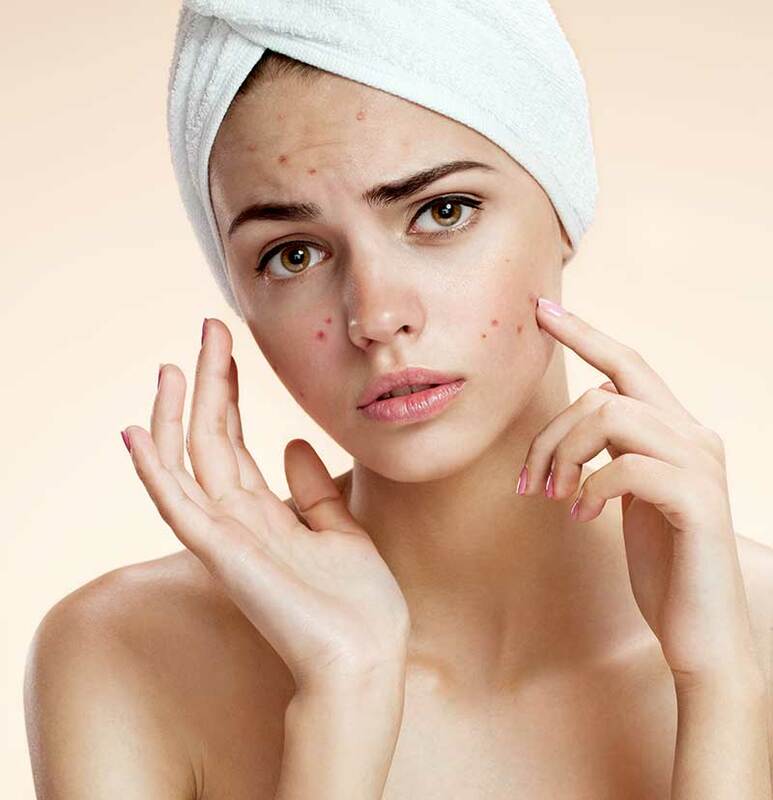 Acne comes in many grades of severity, the mildest being white and black heads, and the most severe come with inflamed nodules and cystic pustules (almost like abscesses). Myth – Acne is part of growing up so we just have to accept it; there is no need to see a doctor. Yes, about 90 per cent of us get acne as we go through adolescence, but it doesn’t mean we have to take it sitting down. Acne, despite being common, is a skin disease and needs to be addressed. Acne can be treated using DIY home remedies or OTC pimple creams, as well as by seeing our favourite aesthetician and finally seeing a doctor. Unfortunately, many choose to see a doctor for acne only as a last resort when all else fails or when the acne is “out of control.” It is much easier for the doctor to treat acne at its initial stages and especially before scars form. Medications available at the doctors are generally more effective than OTC products. Myth – Acne is nothing more than a skin problem. Acne also has a psychological impact on a person. Studies have shown that people with acne are more prone to depression and have a poorer self-esteem. Acne and the scars they leave can affect a person’s social behaviour so much it affects their quality of life. Acne can sometimes also reflect a hormonal or endocrinological problem. Myth – If you leave acne alone, you will eventually outgrow it. On the average, most people stop getting acne when they are about 28 to 30 years old. Unfortunately for some, acne can persist through middle age and into the sixties. Though active acne may disappear, the scars left by the acne are permanent. So it’s important to treat acne as early and as aggressively as possible to minimise the risk of scarring. Myth – Certain food causes acne. This is a common controversy among doctors and patients. In medical books, food is not listed as a cause for acne. However, some people will swear that certain food causes them to get acne. My conclusion is that certain food causes acne in certain individuals and only to those individuals, much like food allergy. So if Food A causes acne in Patient A, Patient A will get acne if he takes Food A but other patients will not. Myth – You get acne when you don’t clean your face enough. Dirt is not a cause for acne and paradoxically washing the face too much can aggravate acne as it dries the skin too much. Make-up, however, is notorious for aggravating acne, especially the oil-based ones. A little known fact is that oil-based makeup removal may leave residual on the skin that aggravates acne. Myth – Acne shouldn’t be squeezed. If you don’t squeeze them, they won’t leave scars. Acne shouldn’t be squeezed unless you know how to do it, because doing it the wrong way can worsen the scarring. Some doctors “extract” the contents in the acne as opposed to “squeezing”. This is done by making a micro-incision into the acne so the contents can get out. Extracted acne heals much faster. Acne by itself can lead to scarring even if you don’t squeeze them, so it is important to see your doctor. Myth – Doctors have a “miracle” injection that causes acne to disappear. Doctors can sometimes inject steroids into big acne to cause it to subside faster but it is no “miracle”. If done correctly, it will still take a few days for the acne to subside. If done inappropriately, the injection itself can leave a deep depression in the skin.